The two new pictures of Prince Charles with his close family were released to commemorate his 70th birthday, and it’s no wonder royal fans everywhere started gushing about how adorable the three little ones look. The snaps show Kate holding little baby Louis, standing next to husband William, Prince Harry and wife Meghan. Prince George and Princess Charlotte are happily sat next to Prince Charles and Camilla, showing how close they are to their grandfather and stepgrandmother. Chris Jackson, the photographer responsible for the lovely snaps, tweeted to say it was a pleasure to photograph the family. 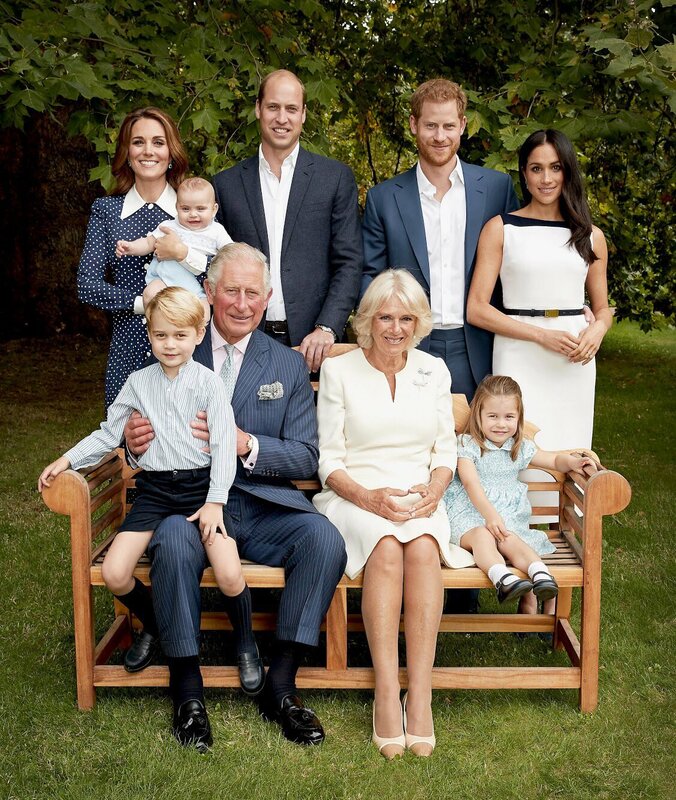 ‘I was delighted to have been asked to take these official portraits of The Prince of Wales surrounded by his family to celebrate the important milestone of his 70th Birthday’, he wrote. After the pictures were released, many royal fans were gushing about how cute the Cambridge children look, as the trio stole the show as usual. But one fan spotted something hilarious about little Prince Louis – proving he could well become the cheekiest of the little royals. After a fan account shared zoomed in pictures of the little prince, one fan commented to say it looks like he’s up to no good by pulling his grandfather’s hair! Other fans were also desperate to know what was making all three of the Cambridge children, and their auntie Meghan, laugh? The photographer has remained tight-lipped – at least for now – so we may never know what gave the little ones the giggles… Could it have been nanny Maria doing cartwheels?